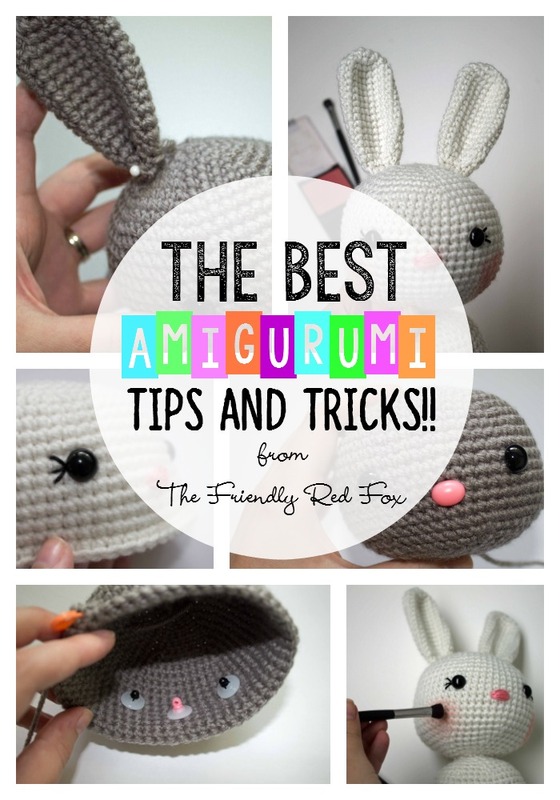 The Best Amigurumi Tips and Tricks! 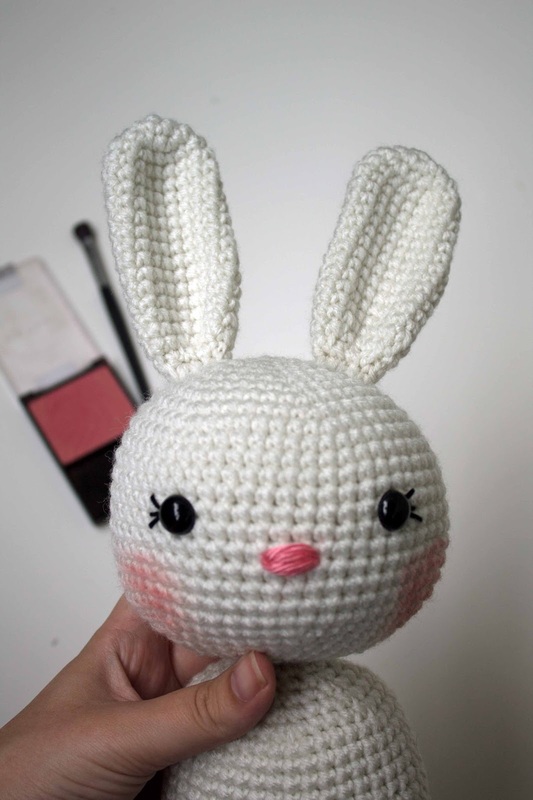 I have fallen head over heels in love with amigurumi! 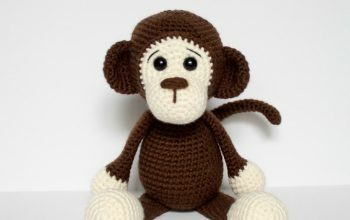 I am entirely self taught when it comes to crochet (with help from youtube and blogs, of course!) and my first amigurumi projects turned out… interesting. Big gaps, floppy, misshapen heads… Not to mention that I didn’t know where to get half the stuff that the pattern called for. And I had a hard time tracking it down! It took a lot of Google and Pinterest, but I finally figured it out. I remember wishing that someone would just have it all in one place. Well my friends, that is what I am doing today! Some of these things seemed to be common knowledge in the crochet world so it is very basic but, I hope, helpful! If you are new to amigurumi and want to know what tools and materials you need read THIS POST! 1. 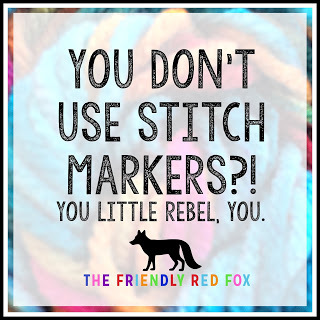 Use those stitch markers!! These are my favorite markers and have lasted me forever! 2. Use the right hook! Because amigurumi is made from the smallest stitch (the single crochet!) and small size hooks, it is tempting to use a larger hook to get things moving! But resist! If you don’t use the right hook, your fabric will look gappy, and the stuffing will show through. Not what you want! If you can’t find the exact hook suggested I ALWAYS suggest picking the next size SMALLER. Your stitches will look much better and neater. These are my absolute favorite hooks! I hate using anything else. 3. 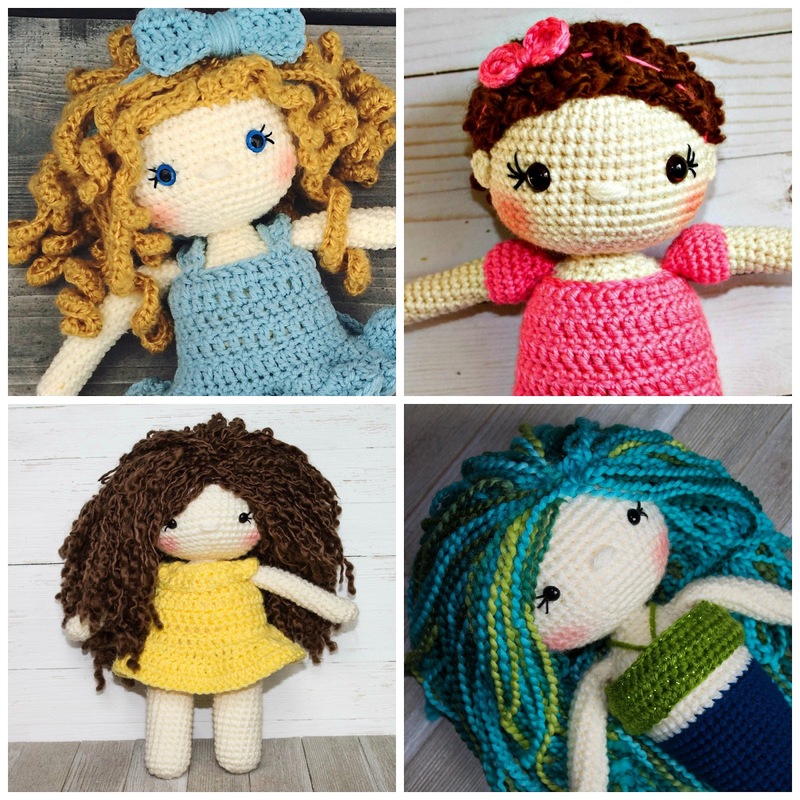 Pick a way to crochet and stick with it! 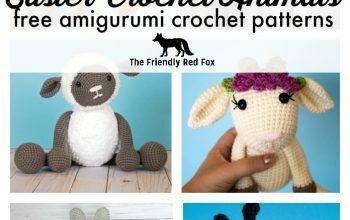 Because there are usually a lot of parts to an amigurumi project, there are a lot of opportunities to get something wrong. Don’t be discouraged! It helps to be consistent with how tight you stitch, how your hold your yarn etc. 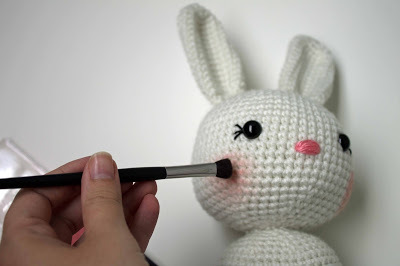 This is true for every crochet project, but can be really noticeable with amigurumi! One of my first projects had a much larger arm, even though I triple checked and the pattern was correct. I just got better at it so my second arm was much more tight and even. 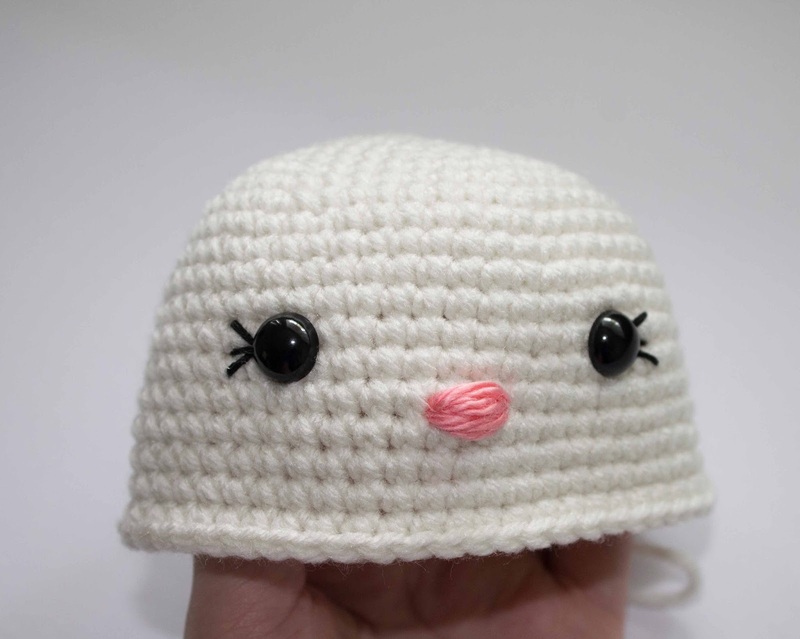 It also helps to crochet everything that is a multiple (two legs, two arms, etc.) at the same time. They are more likely to be the same! You will want to use polyfil to stuff your amigurumi. It is sold in a bag at most crafting stores… I usually get mine at Walmart. Stuff as you go, especially small parts like arms or legs. It will take more stuffing than you think! But go slowly with small bunches. If you try to cram too much in then it will get lumpy! But don’t understuff! As time goes on it will “deflate” a little, especially if it is played with! So I like to stuff until I have very little “give.” I generally use the stuffing stick that comes in the bag to tamp it down, but the end of a hook works too! Things I stuff VERY LIGHTLY: arms (sometimes I don’t even) and legs. This is because if you bunch it up they will show very uneven. 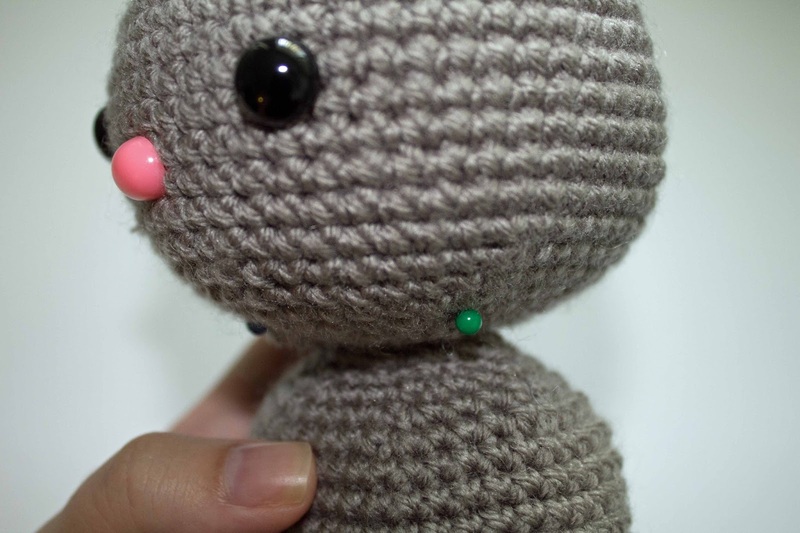 If you want your amigurumi to stand you will want to stuff a lot more however. I stuff the legs pretty firm, but not as much as the head and body. This was one thing that I was very confused about. I had no idea where to find them! Turns out they are sold at most craft stores, although I find the best selection on Amazon and Etsy. They come in different sizes and colors. 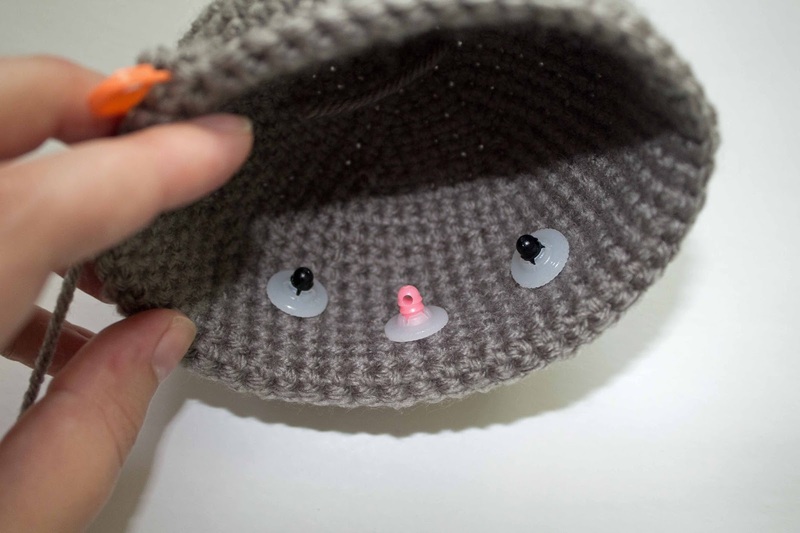 The eye is attached to a screw like thing that you will poke through the stitches and then there is a washer that you will place on the back. This is what the back looks like! Sewing the parts together is my least favorite thing. I have picked up some tips and tricks that make it better however! First, when you cut the yarn of the finished piece, leave a long tail. 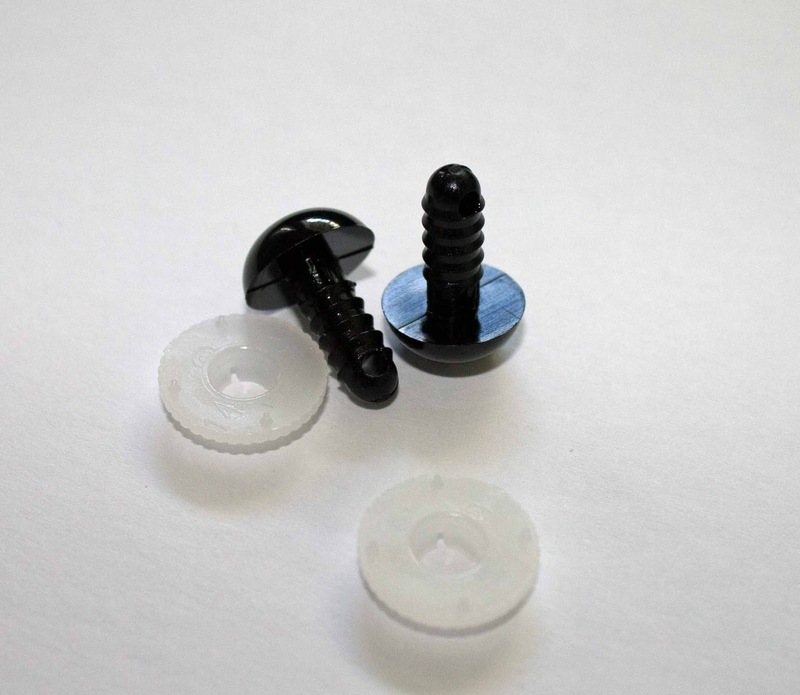 Use this to sew on to the other parts. Second, use the lines of the piece. 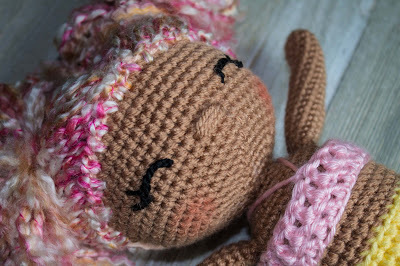 When you attach an arm, make sure it lies straight across the line of stitches! You don’t want to sew it all the way on and realize it is crooked! And use the same line for the other arm. Do a lot of counting and double checking before you sew. You will thank me later! Third, use some kind of pin to keep it in place! I use normal sewing pins. Just stick them down in there! 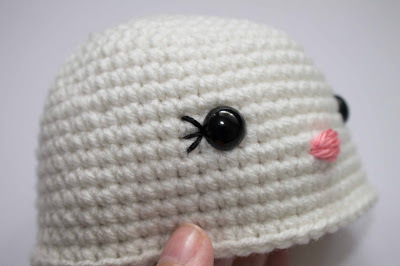 Then sew in every stitch around. I usually go around it twice (or more for big pieces like the head!). Take out the pins as you go. It also really helps to see the final product and move things around if you feel like before you have secured them. Fourth, weave the remaining yarn through stitches as a way to fasten it off. Do it in a less visible place like under the arm, or back of the neck. I go back and forth, up and down and diagonal. Don’t pull too tight or you will bunch up the fabric and it will not look very good! Try to keep it neat and don’t cover too much distance when you are going in- you will leave long stitches on the outside if you do! 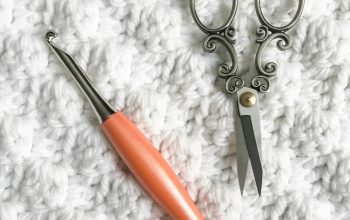 Always sew the eyelashes on before you stuff- this gives you more room to work!I use embroidery thread to sew on eyelashes. I rarely split the threads because my projects are usually fairly large. For smaller projects it might be better to split the thread. 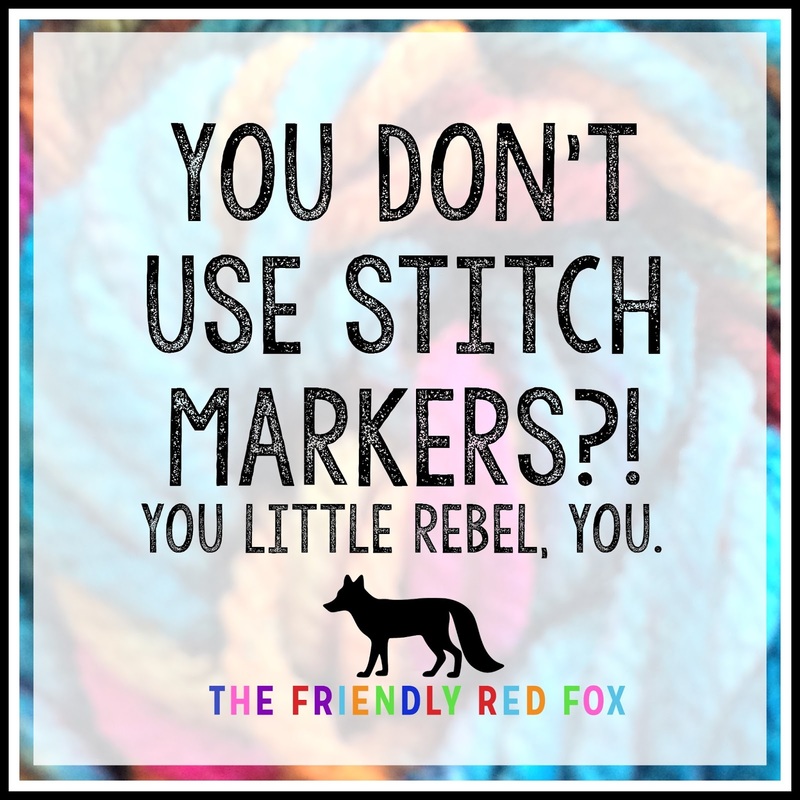 And I can get away with using my yarn needle to sew them on, since that is what I always have handy! First place the safety eyes but don’t put on the back!! 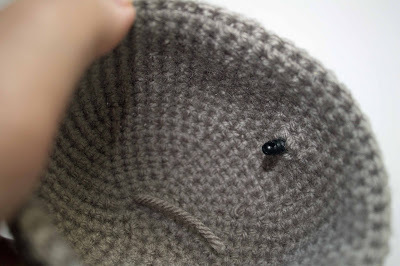 Try to get under the edges of the eye to make sure there is no gap between the thread and the eye. I make an effort to sew each lash into the same hole under the eye to keep them uniform. Tie it in the back and do the other eye! You can find all The Friendly Dolls here! For embroidered eyes check out this post! This may be one of the silliest but most helpful tips I have found! 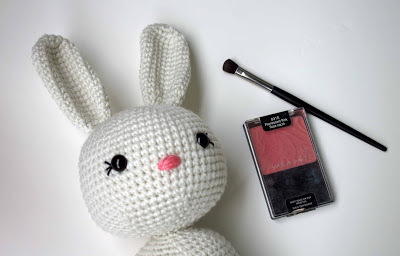 I love how fun and girly a little blush gives a project! I had tried a crayon before and while that does work, I could never get it dark enough without making the yarn fuzzy and worn. So I use just a light coating of cheap blush from the dollar store! When you are decreasing, instead of using a regular decrease, try the invisible decrease. It is not much different than a regular decrease. 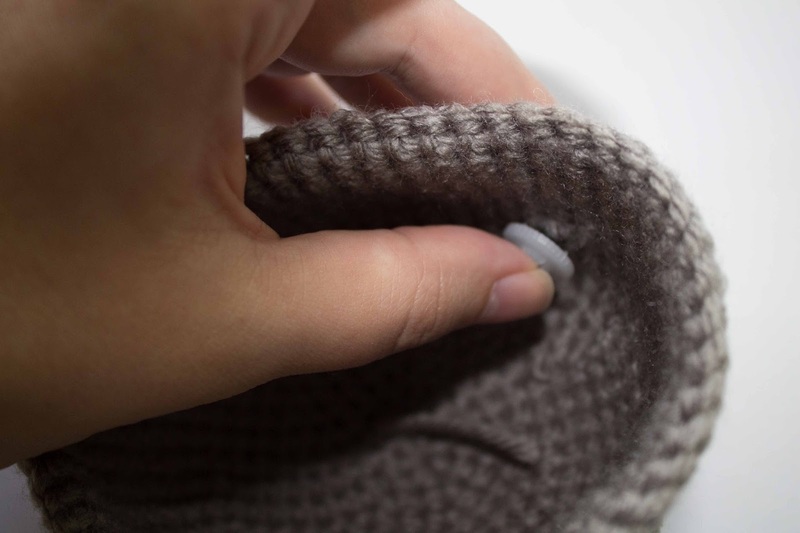 You only put the hook through the first loop (the one that is visible from the front) rather than the entire stitch. So, hook through first loop on the first stitch, then through the first loop on the second. Pull yarn though. Have trouble sewing on the head? Check out The Best Amigurumi Tips and Tricks for Doll Faces! There you go! 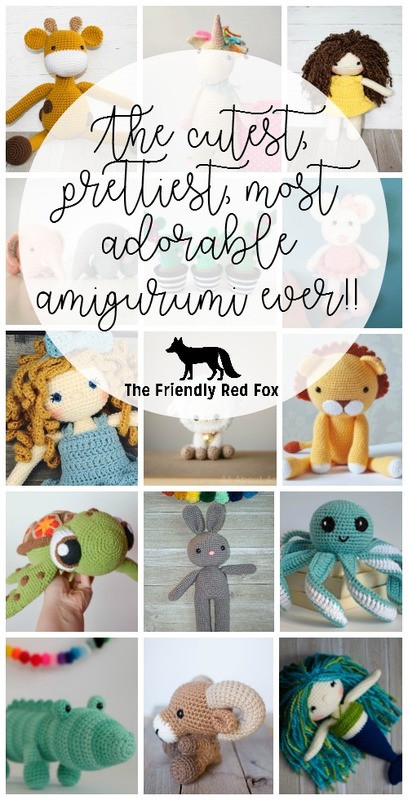 Hopefully now your first attempts at amigurumi come off better than mine! 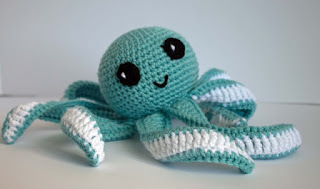 And if you are looking for a great pattern try out my crochet octopus or teddy bear! Both are very beginner friendly! 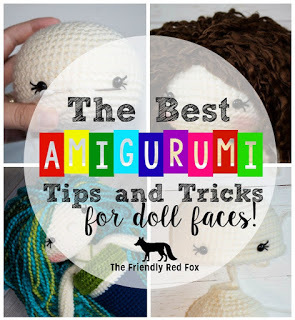 I love making amigurumi too and while some of your tips I knew already this post was great and I love the blush idea…. Gorgeous! Great tips! 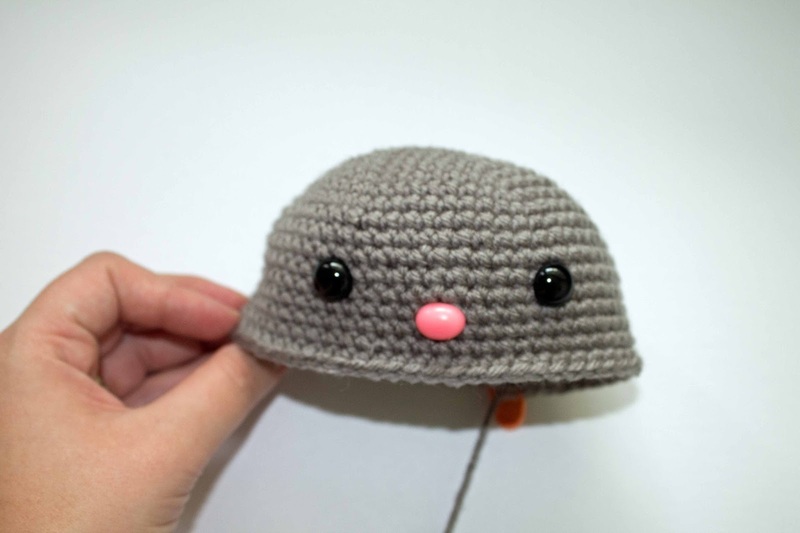 I've done several amigurumi project and have never used safety eyes because I could not find them. I will definitely have to order some. 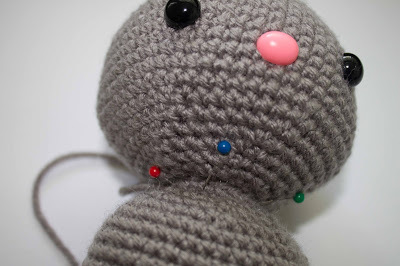 LOVE the idea of pinning all the limbs on before sewing. I think every project I've made had arms or legs crooked…I just said it was "character". LOL Thank you!!! Love the blush idea! Also have to look for noses, I have used the eyes. I am also self taught, thoug from a book years ago, because I am a lefty. One thing I hate is the seperate body & head pieces as they never lime up. So I stopped seperating them. Now I decrease down to a neck size that will support the head and the increas back up for the body. 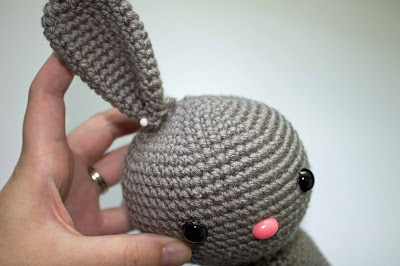 Usually before I finish the decreasing I do the face, attach ears if there are some, and lightly stuff the head. Then I finish the decreas, probably down to 18 or 12 stiches depending, do another row the same and then increase from tht point for the body. If you add the heas and body row counts you know size, just decrease and end at the bottom instead! Have you ever thought of video tutorials? I am terrible at sewing parts on. Pillows from Walmart are cheaper than the bags of stuffing you buy like $3.00 compared to $6.00 for a bag of stuffing. Thank you! I bought a bag of mixed sizes safety eyes. They come with no directions! No I see how easy they are! Thank you! What happens to the blush when washed? Does it still stay on?